My name is Stephen Redden, and I currently work in a variety of capacities. I am the Pastor of Discipleship and Multiplication for New Denver Church and the Executive Director of the Church Cooperative of Denver. I also do a variety of projects through my consultative coaching practice, Third Circle Limited. I am a graduate of Mississippi State University (BS Computer Engineering 1994, MBA 1995) and Dallas Theological Seminary (MA Bibilical Studies 2007). Between 1996 and 2000 I worked as an information technology specialist for IBM before taking a one-year leave of absence to work with Mission Aviation Fellowship (MAF) in Kazakhstan and Russia. During my year with MAF I worked with the Learning Technology team to develop the technology infrastructure for a system to deliver theological training using distance education to pastors and church leaders throughout the former Soviet Union. After returning to the US in 2001, I joined the staff team at North Point Community Church. I spent the first year helping to develop the web and technology infrastructure with the Group Life team, but the bulk of my seven years at North Point was spent helping to lead the Community Groups ministry. I had the pleasure of leading an amazing team of people and learning from some of the best leaders in the church today – not only at North Point but at churches around the country and the world. During that time I also had the opportunity to teach church and small group leaders in a variety of contexts. In 2009 my family and I, along with two other families from North Point, moved to Denver, CO to be part of starting New Denver Church. In addition to my work with New Denver, I also do some bi-vocational contract work – working with churches to help them develop their small group and leadership systems as well as doing technology consulting for individuals and small businesses. I am also an adjunct faculty member at Denver Seminary, leading theological reflection groups for the Training & Mentoring department. 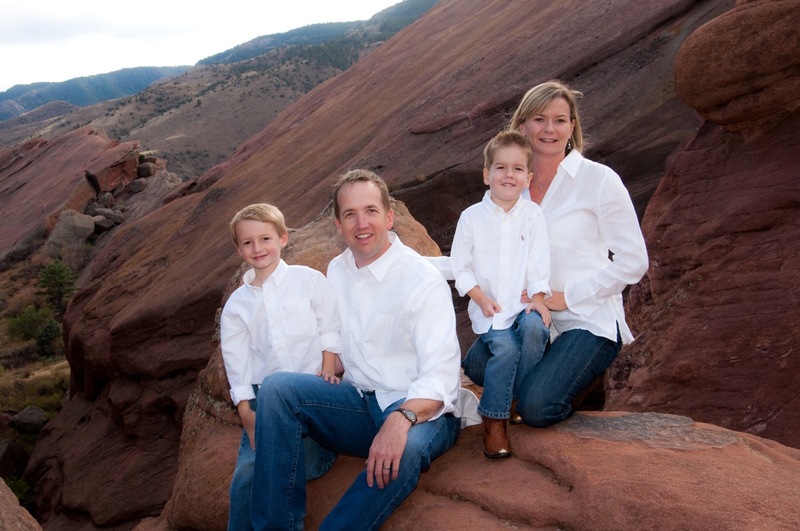 I am married to my wonderful wife Kate, and we have two boys, Ethan and Andrew who keep us very busy. Swern is a nickname I got in college. Somehow over the years it has continued to follow me with my closest friends. The first question I usually get when someone hears it is, “What does it mean?” It doesn’t mean anything, but there is a story (though not a very exciting one). When I was in college at Mississippi State I played on an intramural basketball team with some guys who lived next to me in the dormitory. All the guys on the team, except myself and my friend Todd, grew up together in Columbus, MS. They all had nicknames for each other that started with “Big.” There was “Big Will”, “Big Smitty”, and “Big Steve”, just to name a few. They all decided that my friend and I needed nicknames too. My friend could eat a lot so they called him “Big Skeets”, because there was a grocery store in their hometown called Skeets Grocery. They decided my name would be “Big Sweeney”, because there was a liquor store in their neighborhood called Sweeney’s (I’ll leave the reason why they chose that name to your imagination). All my friends thought it was hilarious that I had this new identity. We’d be walking across the drill field, and out of nowhere I’d hear “YO, WHAT UP BIG SWEENEY!! !” from one of my teammates.